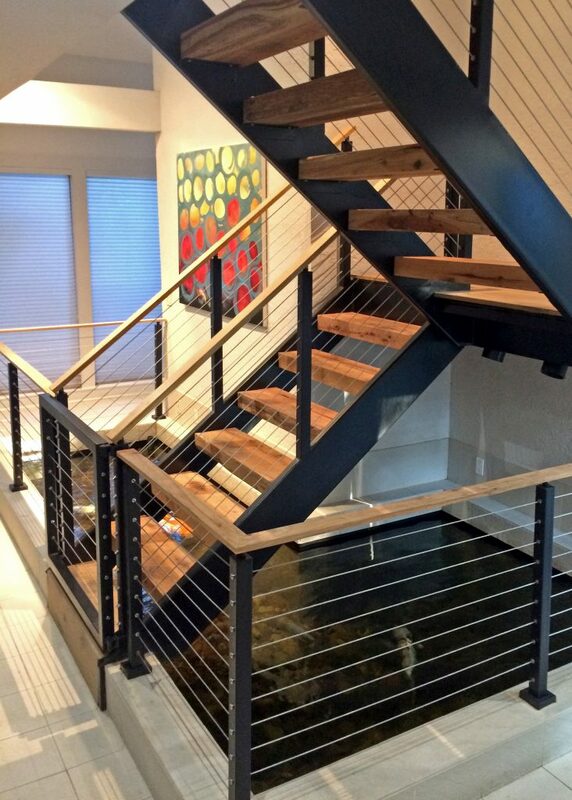 Customers often come to us with imaginative design ideas that we can’t wait to pull off. 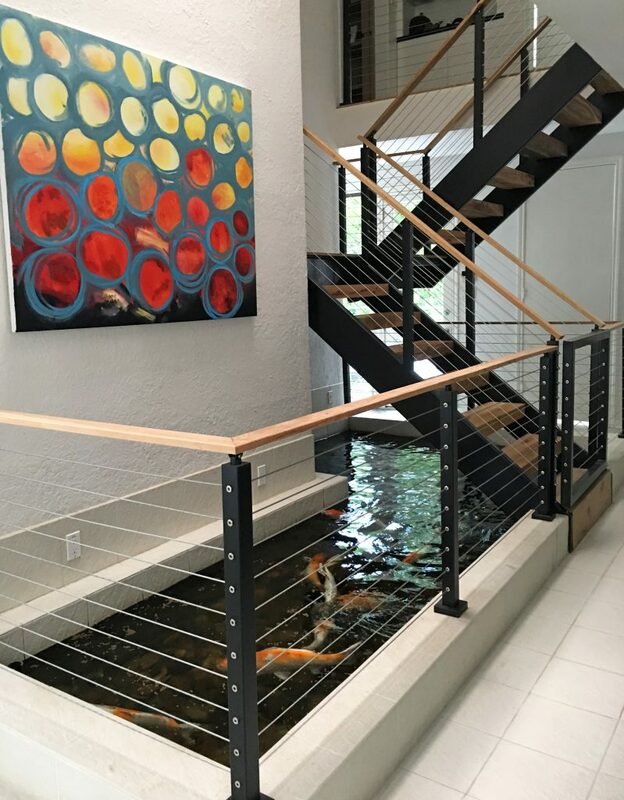 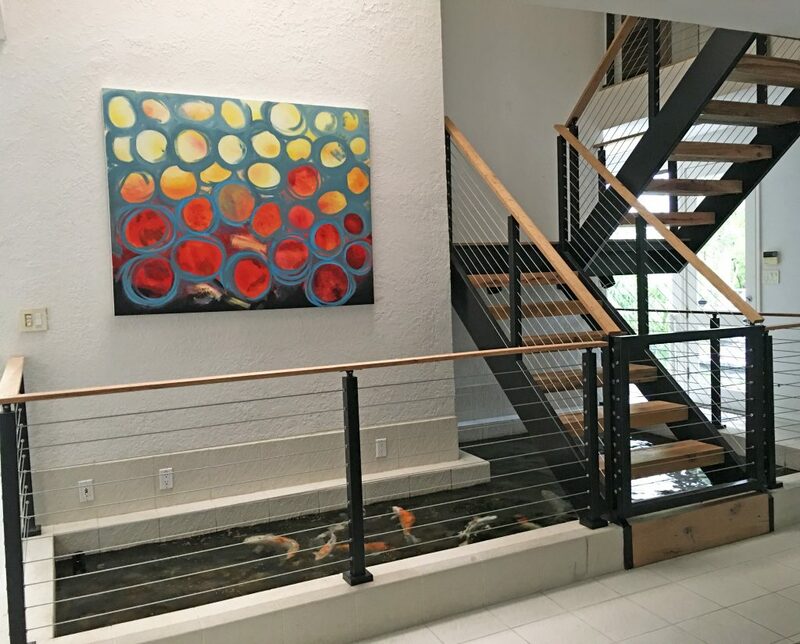 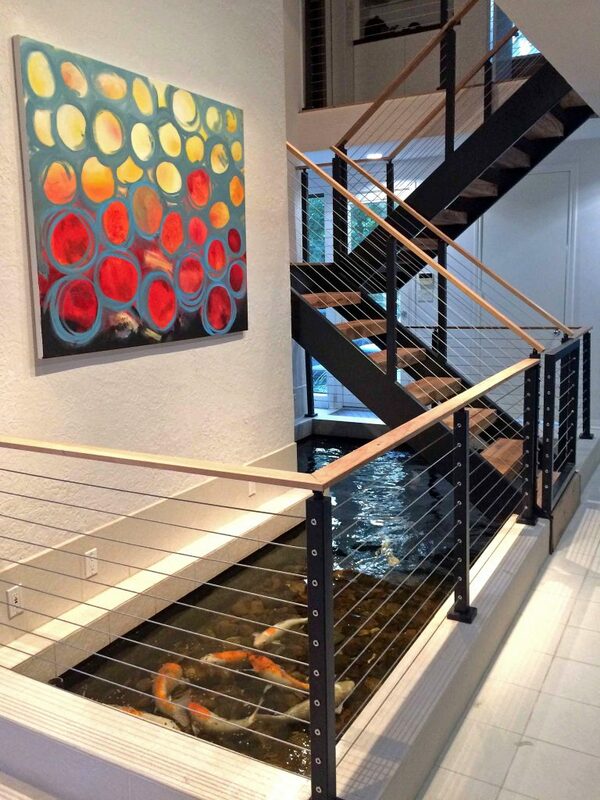 This customer in Texas had a unique stairway scenario involving an interior koi pond that needed a cable railing system to keep children and pets from diving in. 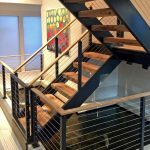 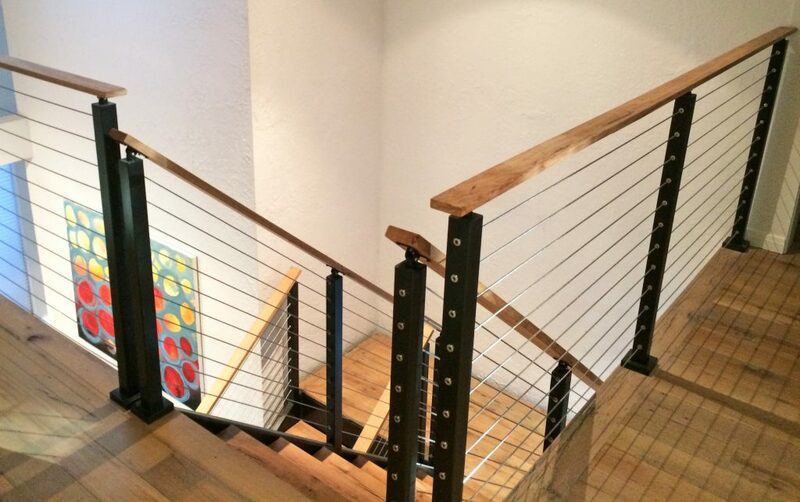 While these photos make everything appear standard, a great deal of customization went into building this project. 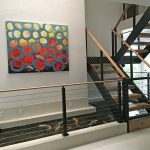 Take at these notes from the homeowner to see what went into making this partnership a success story. 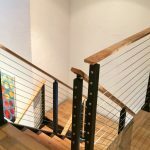 “This project was a HUGE undertaking as a DIY because I did not have any prior construction experience, but your products were easy to use, the installation instructions easy to follow and the posts/cable were exactly the product that I needed.